Beginning Tuesday, April 16th at 9am, you can purchase One Adult Glendon Dam or SteelStacks Kayak Trip with Historic Bethlehem River Tours, a $50 value, for only $25. That's Half Price! Whether you’re a beginner or experienced kayaker, Historic Bethlehem River Tours are fun for everyone! 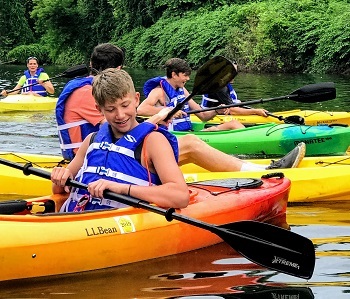 Everything is provided for a relaxing, calm and cool 4-hour (7-mile) trip down the Lehigh River including: kayak, paddle, life vest, and transportation! Bring the family and enjoy a scenic, historic trip with an experienced guide. Choose from the Glendon Dam Portage, a 7-mile kayak tour from Rt. 33 Sportsman's Access to Easton. 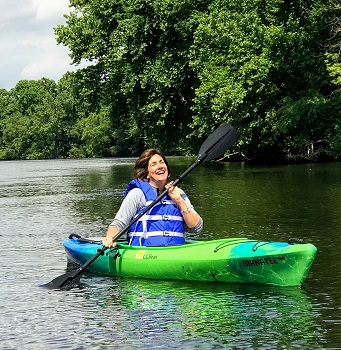 Kayakers will portage around the Glendon Dam and paddle down to the terminus of the Lehigh River were it empties into the Delaware River or our signature tour, the SteelStacks Run, a 4-hour recreational kayak tour (3 hrs on the water) from Sand Island in Historic Bethlehem to Rt. 33 Sportsman's Access, depending on the river flow. This tour is 7 miles of scenic river highlighting the history of the Lehigh River, Bethlehem, The Steel and more. 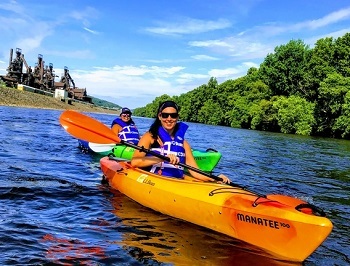 Be on the lookout for Blue Heron, Bald Eagles, Turtles, Deer and wildlife to the iconic SteelStacks, and as a bonus, get a souvenir photo taken as you pass by in your kayak. Customers can purchase up to 4 vouchers for multiple trips. One voucher per person, per trip.